WTBA is a collection of and conversation about powerful books that strengthen, elevate, inspire and help to grow powerful, resilient kids. We're a book oriented guide for parents, grandparents, educators, aunts, uncles and anyone involved in nurturing children and caring for friends. meeting (kind of) Jackie French, and picking up wonderful quotes, tips and tricks! I recently attended the annual Queensland Childcare Association conference and I was so excited to be going—but my excitement went through the roof when I heard that the keynote speaker was Jackie French, the author of my favourite novel, I think in the world, To Love a Sunburnt Country! I have always loved Jackie French! Ever since I was little I enjoyed reading—or mainly having read to me—her books. Probably the first one I heard was Stories to Eat with a Blood Plum. 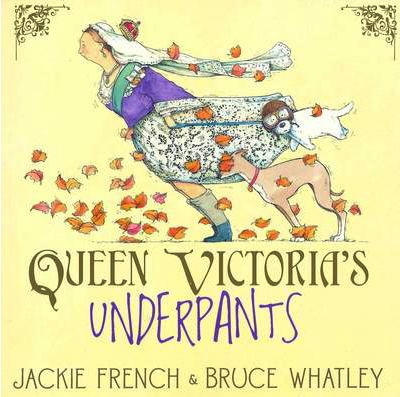 I must have been all of three-years-old, and my love of Jackie French books just grew and grew from there. If you don’t have time to read a book, have a long conversation e.g. in the car, because that also requires long focus. After reading a book two or three times—and if it’s a good book you will— give the child a copy to read on their own. You can probably tell—I loved every moment of that keynote address! Here are some Jackie French books that are already on the site (and that early favourite)—you might like to click for the posts. There will be more to come for sure!! !